Please note that Vibes After Dark is looking for specific types of vendors, and NOT ALL APPLICANTS WILL BE ACCEPTED. We do not accept any mass produced merchandise of any kind. We actively support small business owners and makers. We are searching for vendors with quality goods, and we reserve the right to ask for the removal of any items we deem below our standards. VIBES AFTER DARK SEEKS VENDORS WHO UTILIZE SOCIAL MEDIA AND HAVE FUNCTIONING PROFESSIONAL WEBSITES TO LEAD OUR GUESTS TO. *We may request to schedule a quick tasting with new food vendors. Vendor Set-up is at 6pm. The event hours are from 7pm-1am. You are required to bring your own table (6 ft. max). We recommend that you bring additional lighting for your booth. 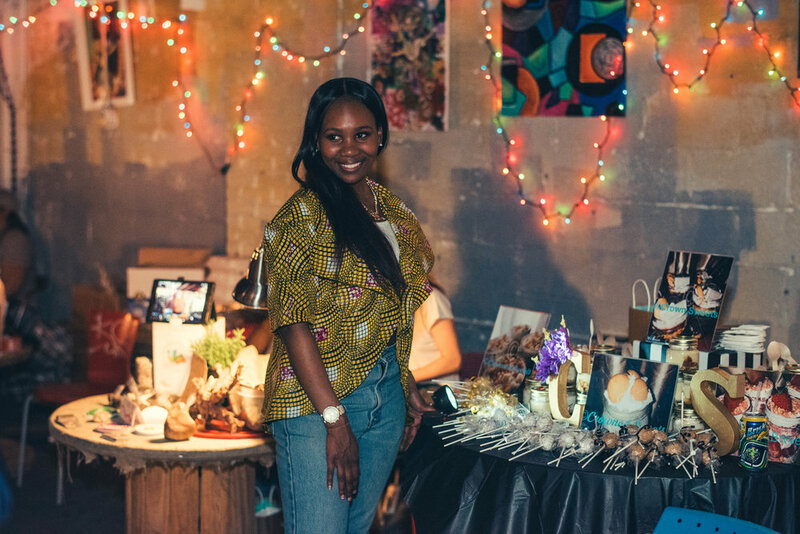 Please keep in mind that vendors are curated to ensure that a range of products are available to our guests each event. In the event that vendor space is in high demand, you are welcome to still apply. If approved, you will be added to our waiting list for the next event. We expect all vendors to advertise themselves accordingly. After reviewing our list of requirements, please complete the online application. The info you provide helps us in securing press and with our promotional campaign. Once you've completed the application and we believe you're a good fit for that market, a coordinator will contact you within 7 days. Please wait until you have received an approval email from a team member before sending payment. If you don't receive an approval email us and would like to know why we didn't approve you, feel free to contact us. There's always room for growth and communication is key! We can get better, together. Email us with your interest. Returning vendors do not need to reapply for each event. If there is space available we will send you an approval email with further instructions. Payment officially confirms your space. ALL VENDOR FEES ARE NON- REFUNDABLE. If for some logical reason you cannot vend for the upcoming date, we may discuss and potentially allow your paid fee to reserve you a spot for the next night market. Fees are subject to change.